Our Penultimate #FursdayFump – wait, what? So just over a year ago I was talking to a friend who suggest I should try posting out random pictures of Bear dressed as famous comic characters. The whole thing was going to start in a weeks time with Bear as Bananaman but as is usual with me I broke my own rule and did a cheeky early pic referencing the World Cup! Now in my heart I’m still saying that next week is the year anniversary of doing #FursdayFump’s and also the end point of this project. What do I do next? Don’t know! I do know that I’m going to see about putting all the pictures (along with any extra ones I did along the way) and auction them for charity but it’s going to take me a wee while to put that all together! 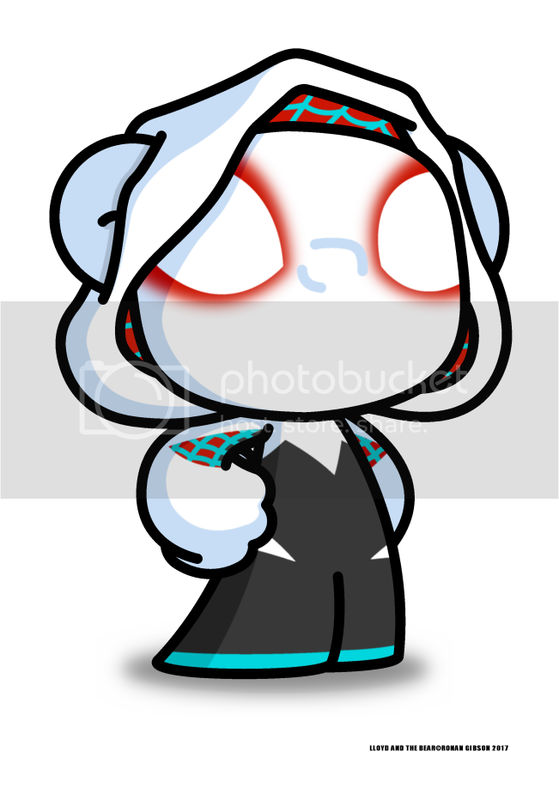 So yeah, please check out the ‘Fumps – here’s today’s one which is the AWESOME Spider-Gwen! PS. I’m ending #FursdayFump in style with a double one that’s also a pun and will also (hopefully) make a sister-in-law of mine well chuffed! PPS. I’m now thinking maybe I did mention #FursdayFump on here…. I’ll need to check!